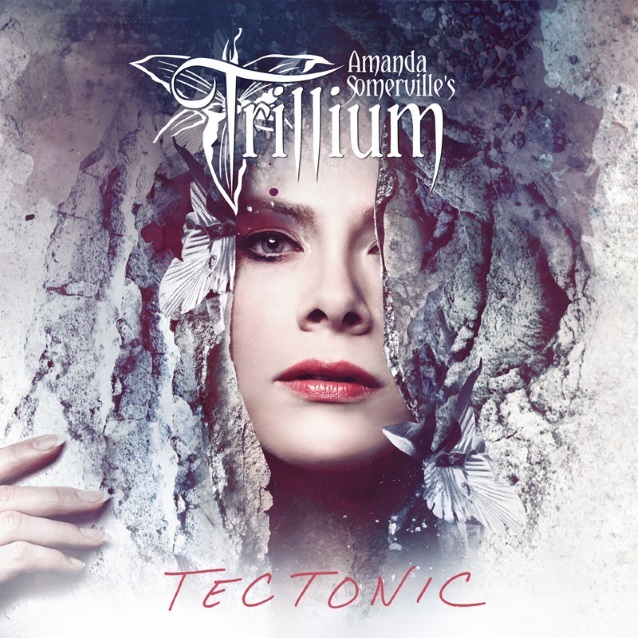 Led By Vajra "White Dress"
TRILLIUM, the metal project launched by American-born, Dutch-based singer/songwriter Amanda Somerville, has just released its sophomore album, “Tectonic”, via Frontiers Music Srl. The official lyric video for the disc’s new single, “Full Speed Ahead”, can be seen below. Added Amanda: “Where [TRILLIUM debut album] ‘Alloy’ was rather dark and moody and restless, ‘Tectonic’ is on the whole more uplifting and full of strength and character, though it’s just as full of emotion. Somerville is well known for her collaborations with various high-profile European metal bands like AVANTASIA, EPICA, KAMELOT and AFTER FOREVER, to name a few. And let’s not forget her musical partnership with HELLOWEEN vocalist Michael Kiske under the KISKE/SOMERVILLE banner. With a vocal range from tenor to soprano and a stylistically diverse singing ability, Somerville‘s voice is well suited for multiple styles, but TRILLIUM is firmly in the metal genre.